Cotton Ink is a wedding invitation company in Rocky River, Ohio. We create custom designed wedding suites printed on heavy cotton stock. Each design reflects the couple's style imagined for their wedding day. Together, we can achieve a modern, traditional, formal, or elegant wedding invitation suite. Whatever your style, your invitations will be truly unique and beautifully crafted. Have a look at some designs we have created for other couples. 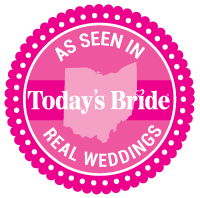 ​You will see just how carefully personal style is reflected in color schemes and design elements for each wedding set. Cotton Ink wedding invitations are custom designed suites printed on heavy cotton stock. Each design reflects the couple's feel imagined for their wedding day. Together we can achieve a modern, traditional, formal, elegant, vintage, or floral truly unique and always beautiful wedding invitation suite. 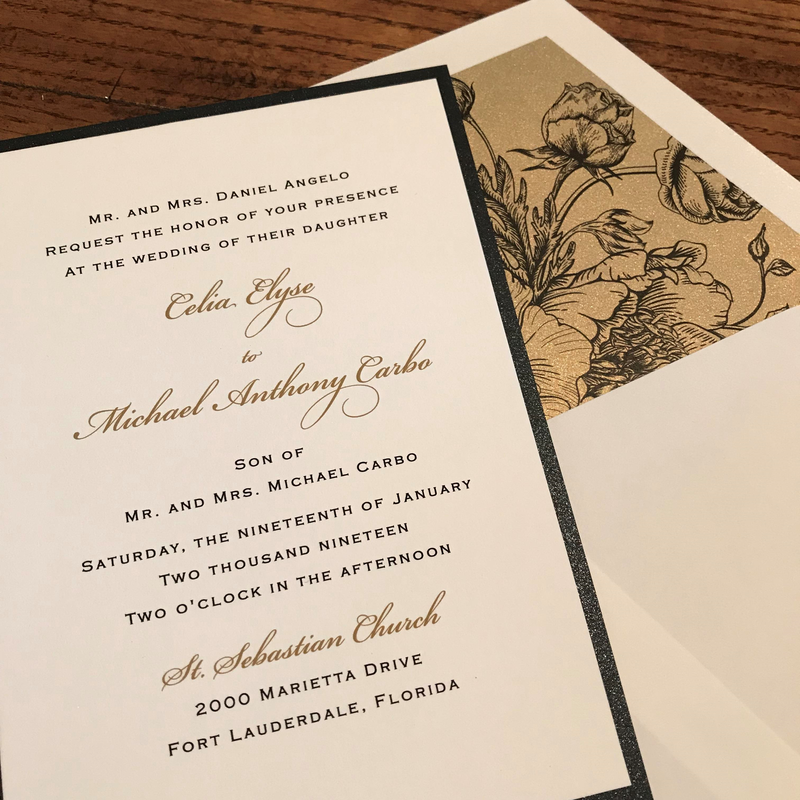 Contact Cotton Ink today to inquire about a wedding invitation or to get started creating a wedding suite just for you. 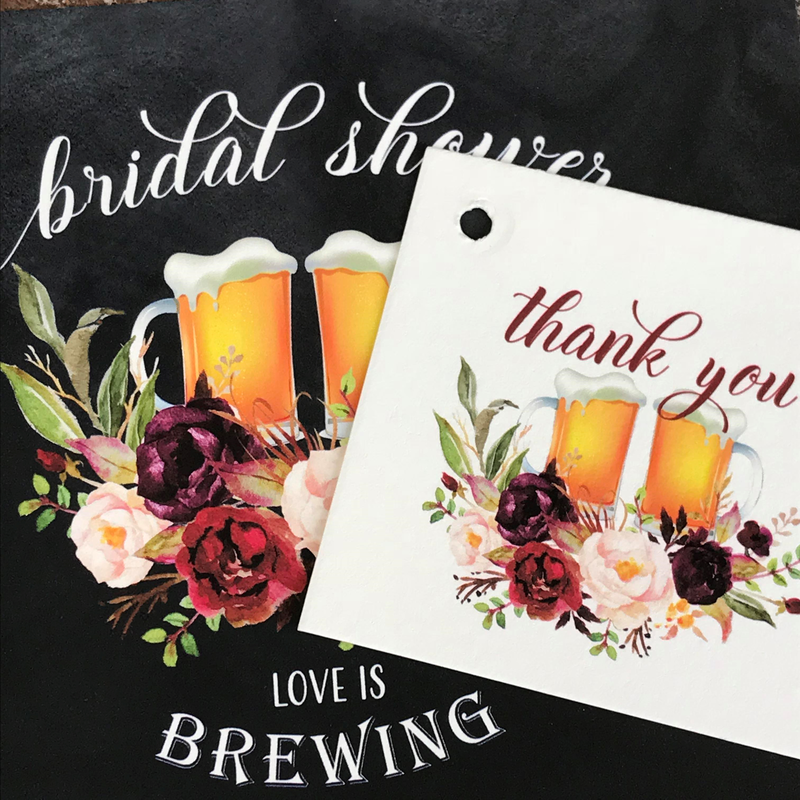 Bridal showers, can be anything you want them to be. We can keep the shower invitation in the same color vibe as the wedding or create something totally new. It's all about customizing for your style and event. And, all of our shower and event invitations are printed on the same heavy cotton as our wedding invitations. Simply gorgeous! Contact Cotton Ink to begin a creation just for your event. 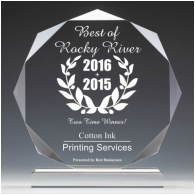 We do more than just wedding invitations at Cotton Ink. 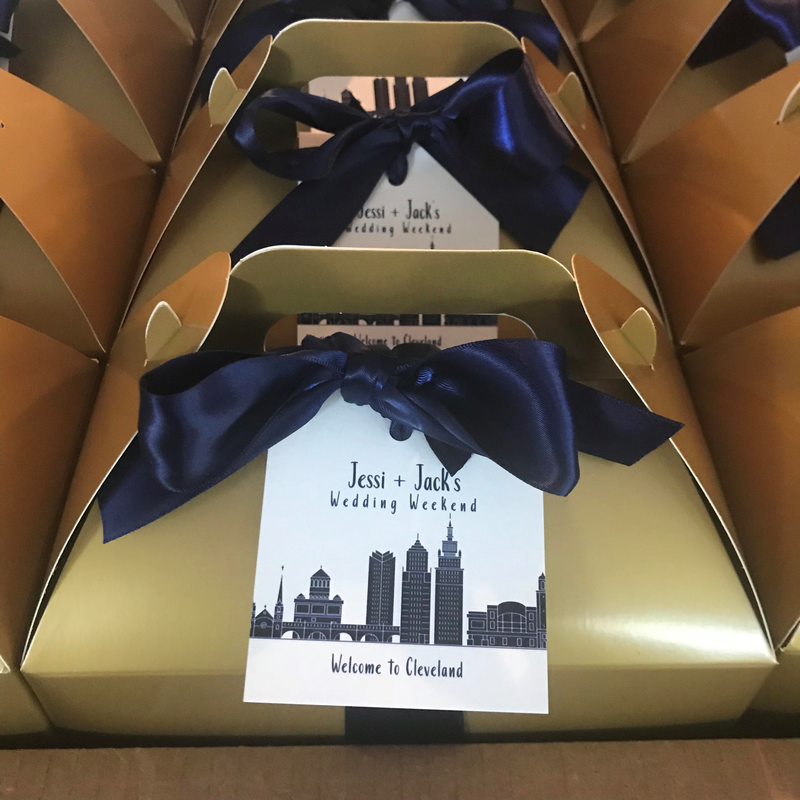 When folks love your work they return to have bridal showers, rehearsal dinners, programs, baby showers, clam bakes, graduations, thank you notes and any other event that life brings. And, we are happy to oblige! Contact Cotton Ink today so we can get started creating the perfect piece for you, like this welcome box of goodies! ​Cotton Ink consultations by appointment only, thank you!